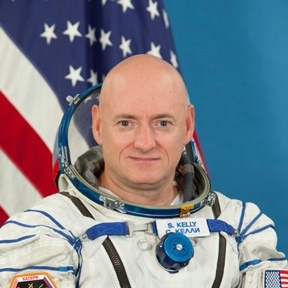 Astronaut Scott Kelly and cosmonaut Mikhail Kornienko, both veterans of long-duration space flights, will spend a full year aboard the International Space Station in 2015-16 to help scientists learn more about how the body reacts and adapts to weightlessness and other aspects of the space environment. The research is aimed at helping scientists and engineers develop possible countermeasures for future manned missions to deep space destinations including the moon, nearby asteroids and, eventually, Mars. "Congratulations to Scott and Mikhail on their selection for this important mission," William Gerstenmaier, NASA's associate administrator for space flight, said in a statement. "The one-year increment will expand the bounds of how we live and work in space and will increase our knowledge regarding the effects of microgravity on humans as we prepare for future missions beyond low-Earth orbit." The mission also could free up two seats aboard Russian Soyuz ferry craft for station visits by wealthy space tourists, providing needed cash to the Russian space program. The Russians launched eight "spaceflight participants" to the station between 2001 and 2008, including one who flew twice. Seven of those were considered space tourists, paying between $20 million and $50 million per flight. The flights were arranged by Space Adventures of Vienna, VA. Tourist flights have been on hold in recent years with all available Soyuz seats booked for professional astronauts and cosmonauts making up the station's six-member crew. In early October, however, NASA and the Russians announced plans for an American astronaut and a Russian cosmonaut to spend a full year aboard the space station, freeing up two Soyuz seats in the normal crew rotation matrix. Soprano Sarah Brightman announced on Oct. 10 that she was booking a flight to the station through Space Adventures and Roscosmos, the Russian federal space agency. Russian space officials said late last week that a final decision is expected next year. If the flight is approved, Brightman likely would fly in the mid to late 2015 timeframe. "I have met her, she is all set to fly, but Roscosmos has not yet decided on it," Vladimir Popovkin, director of the Russian space agency, said in published accounts. "We have a range of possibilities, including sending young cosmonauts to fly. A final decision will be made in the first half of 2013." NASA did not announce when Kelly and Kornienko would begin their mission, but sources said earlier they likely will take off in March 2015 aboard the Soyuz TMA-16M spacecraft, accompanied by a Russian spacecraft commander who would stay aboard the lab for a normal six-month tour. Under that scenario, the next Soyuz in the rotation, TMA-17M, would launch with a three-person station crew the following May. The Soyuz after that, TMA-18M, would take off that September or October 2015 with a Russian commander and, perhaps, one or two space tourists. The spaceflight participants would spend about 10 days aboard the lab complex and return to Earth aboard the Soyuz TMA-16M spacecraft with the same commander that ferried the long-duration crew to orbit the previous March. The long-duration crew members would return to Earth in March 2016 aboard the Soyuz TMA-18M spacecraft with the commander who ferried the commercial fliers to orbit. Other scenarios are possible. NASA and Roscosmos have not yet specified how Kelly and Kornienko will fit into the crew rotation matrix. Kelly has spent 180 days in space during three earlier flights. He served as pilot of shuttle mission STS-103 in 1999 and as commander of STS-118 in 2007. He then served as a flight engineer aboard the space station during Expedition 25 in 2010 and as commander of Expedition 26 in 2011. His twin brother Mark, married to former congresswoman Gabrielle Giffords, also is a veteran shuttle commander. He retired from NASA last year. Kornienko served as a space station flight engineer during Expeditions 23 and 24 in 2010, logging more than 176 days in orbit. "Selection of the candidate for the one-year mission was thorough and difficult due to the number of suitable candidates from the cosmonaut corps," Popovkin said in the NASA statement. "We have chosen the most responsible, skilled and enthusiastic crew members to expand space exploration, and we have full confidence in them." 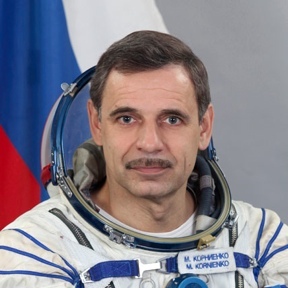 While Kelly and Kornienko will set a new record for International Space Station crews, they will fall well short of the world record held by cosmonaut Valery Polyakov, who spent 438 days aboard the Russian Mir space station in 1994 and 1995. "We have gained new knowledge about the effects of spaceflight on the human body from the scientific research conducted on the space station, and it is the perfect time to test a one-year expedition aboard the orbital laboratory," Julie Robinson, space station program scientist, said when the yearlong flight was announced earlier this year. "What we will gain from this expedition will influence the way we structure our human research plans in the future."